Workers who have suffered an injury in a welding accident may qualify for Missouri workers compensation benefits. In many industries, cutters, brazers, solders, and welders are used to weld together metal parts. According to figures released by the Bureau of Labor Statistics, in 2010, there were 337,300 welders working in the U.S. Of them, 61% worked in the manufacturing industry, while 11% worked in the construction industry. There are other types of workers as well who work with welding tools in their occupation, such as iron workers and pipe fitters. Due to prolonged exposure to welding hazards, these workers are at a high risk of getting injured at the workplace. Every year, thousands of such workers suffer eye injuries. Eye injuries: Welders are exposed to a high risk of eye injuries caused by ultraviolet radiation. They are also exposed to bright visible light. This exposure can cause damage to the eye surface, membrane, or retina and these injuries can lead to long-term complications such as cataracts or even blindness. Skin injuries: Due to the UV radiation that some types of welding emit, a worker can suffer skin burns. This can happen either from direct exposure to radiation or from radiation reflected off the surface. Long-term exposure to UV radiation can lead to skin cancer. 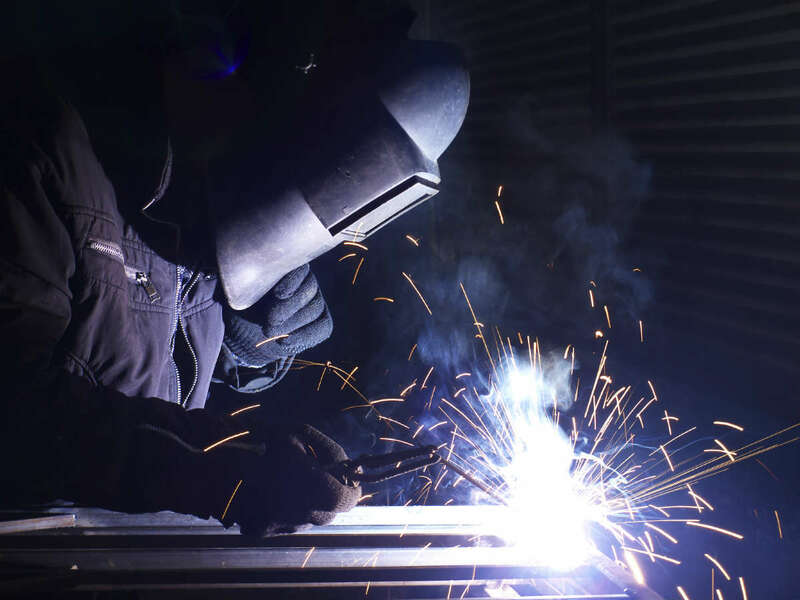 Fume injuries: Welding produces fumes that contain solid particles, which can accumulate in the lungs. Depending on the metals used for welding, the composition of the particles varies. With long-term exposure, these fumes can cause a variety of health problems, such as kidney damage, bone and joint disorders, lung problems, nervous system disorders, and even cancer. Protective eye wear: Workers should wear helmets, shields, and goggles in order to protect their eyes. Protective clothing: This protects the skin from burns and from exposure to radiation. Proper ventilation: In order to protect welders from dangerous gases, work spaces should be properly ventilated for welding. If you have suffered injuries caused by a welding accident, you may qualify for benefits under the Missouri workers’ compensation system. If you face any problem in getting the benefits you deserve, contact a Missouri workers’ compensation lawyer from The Law Office of James M. Hoffmann. Call us at (314) 361-4300 for a free case evaluation.